Starting from 1 July 2015, visitors can now hop aboard a brand new Eco-Boat to take peaceful cruises along the vlei during their winter holiday! Adding to their already ideal getaway destination, De Hoop’s staff now create a memorable experience by cruising past their 259 different varieties of birds, the odd otter and even the rare porcupine. But the fantastic offering of a boat cruise along the vlei is that it allows for sightings of the smaller, shy animals as well as the big game. While meandering down the beautiful waters of De Hoop, you will likely be treated to views of the roaming eland, bontebok, Cape Mountain zebra, grey rhebuck, duiker and perhaps a small steenbok. You might even catch sight of the endangered African Oyster Catcher. 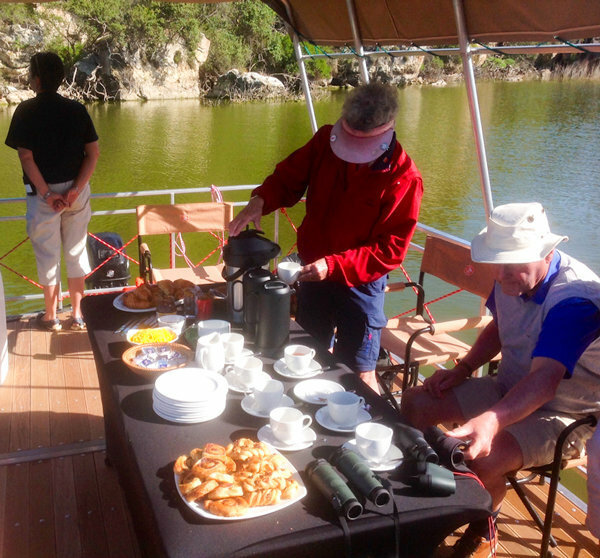 The Eco-Boat Cruise experience, however, offers more than a simple departure from the land to view birds and game. Once aboard the wonderful boat, you will be treated to delectable treats and drinks. Morning cruises will delight you with tea and coffee first, and then with mouth-watering pastries such as croissants with jam and cheese. Those looking for a bit more of a celebratory event will likely be better fit to the afternoon cruise, which gives guests a choice of house wines, local beers, juices and platters of tasty savoury snacks. Make sure to book ahead of time as the cruise is becoming more and more popular. De Hoop has made the water exploration easily available between 8am and 5pm daily during the summer months, and arranged to booking during the winter months. For day visitors, this experience is a great way to get as full a view of De Hoop as possible without staying overnight… but to the romantic couple who wants to escape from the city for a quiet getaway, we definitely recommend staying overnight in one of the beautiful Opstal Vlei Suites. After your enchanting cruise, you’ll be treated to a free-standing hot bath in your en-suite bathroom, a king size bed and be catered for during your entire stay with gourmet meals. For a remarkable rate of only R295,00 per person, De Hoop makes this guided Eco-Boat cruise even better with a Bumper Winter special. As part of their 30 years of MPA celebration, they are offering a complimentary guided activity to guests staying with them between May – August 2015. Book your visit with res@dehoopcollection.co.za or phone them to get more information on (021) 422 4522. 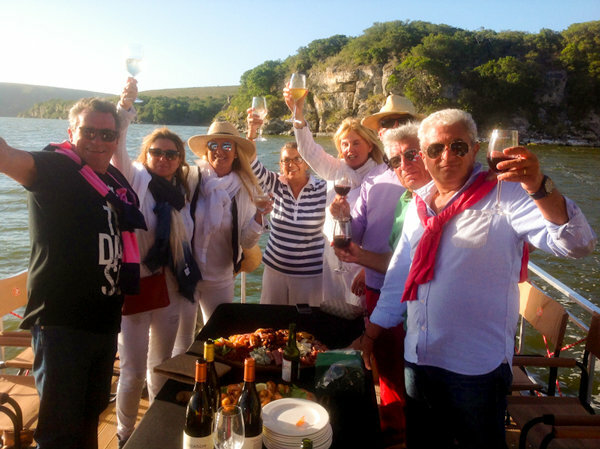 Read more about De Hoop’s Eco-Boat Cruise here: http://www.dehoopcollection.com/guided-eco-boat/.